Welcome to the UK’s first and best online Parrot Shop, offering you the widest range of Parrot Supplies and Parrot Accessories available. Whatever Parrot – or Parrots - you have, you’ll find Everything for your Parrot right here, and you can even Shop by Bird Type to make things easier. All Parrot Shops are not the same! We promise fast free delivery on everything when you spend £39, and a 90 day money back guarantee on anything you buy. Everything we list on the site is in stock in one of our modern distribution warehouses, and we’ll despatch it to you within a few hours of your order being placed. Northern Parrots offer a fabulous collection of Parrot Cages from top brands including Montana and Liberta. 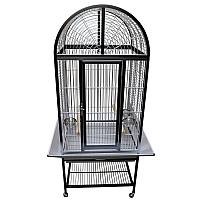 There’s lots of great styles including Open Top Cages and Play Top Cages suitable for every Parrot. There’s even strong, lightweight Travel Cages, ideal for days out or trips to the vet. 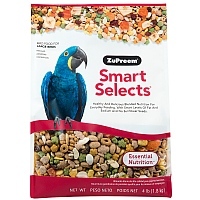 You’ll find the widest selection of Parrot Food available from all the top manufacturers including Kaytee, Lafeber, ZuPreem, Harrison's and many more. 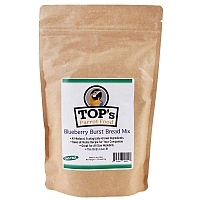 We stock Complete Foods and Pellets, a large range of Parrot Seed, delicious and nutritious Parrot Treats and much more. 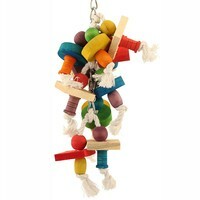 Simply the largest range of Parrot Toys available. 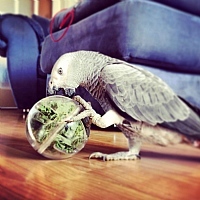 You’re guaranteed to be spoilt for choice when it comes to Parrot Toys, and especially Foraging Toys for Parrots. 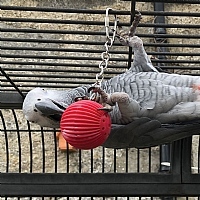 Choose your Toys by Bird Type to make it easier or we’ve split them into groups such as Foot Toys, Toy-Making Parts or Swings and Climbing Toys. 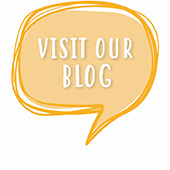 Most importantly whatever Parrot Supplies and Parrot Accessories you buy at our Parrot Shop you’re guaranteed great service – read hundreds of independent reviews here.